Call and schedule a hearing aid test! Have you been struggling with hearing loss lately? Can you not hear sounds that you used to be able to years ago? Perhaps it is time to schedule an appointment for a hearing aids test. 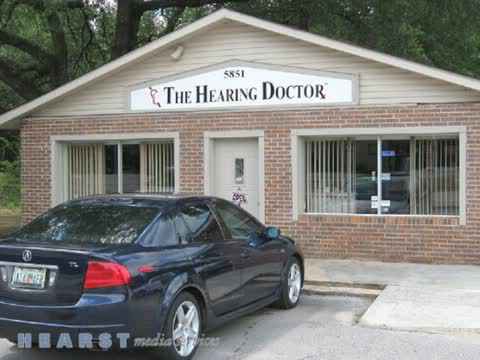 The Hearing Doctor located in Milton, FL and Crestview, FL is happy to help you recover from your hearing disability. Dr. Kaestle, the main ear doctor at this location is certified in everything related to audiology. She is able to identify different types of hearing loss and is recognized as an established professional. Dr. Kaestle demonstrates her commitment by remaining current in the latest audiology developments and issues, proudly serving as a Board-Certified Audiologist in Navarre, FL. The doctor's practice services loyal patients from Escambia, Santa Rosa, Okaloosa and Walton Counties. Visit us for a hearing aids test! When you step into The Hearing Doctor, you'll automatically understand that we are one of the top locations for hearing loss treatment. Every day, we perform free hearing tests and 45 day hearing aids trials for patients who are concerned over their listening abilities. No matter what age, the audiologists will perform a comprehensive hearing assessment from children to adults. We have the latest technology and equipment needed to treat your hearing conditions. Our experienced hearing specialist can help diagnose symptoms, repair hearing aids, or offer you a new, comfortable hearing product. For personalized care, convenient payment options, and a well-equipped facility, you can trust The Hearing Doctor. Schedule an appointment with us to see a hearing specialist or call to learn more about our hearing aid solutions in the Crestview, FL area. Once the follow-up results are concluded, and it is decided that you do have hearing loss, we have the best rehabilitation for our patients and their families. You'll sit down with our doctor and discuss what types of hearing aids are available. We prescribe the hearing aids made with the latest technology available. There are many reasons why you may be suffering from loss of hearing. You may have a middle ear dysfunction or suffer from ear wax management. If you are a swimmer, you'll definitely need to wear custom earplugs for swimming so water doesn't affect the membranes of your ears. Musicians are also at a great risk for hearing loss. We offer musician monitors, special iPod head phones, and more. These custom hearing protection devices are meant to delay the effects of hearing loss as much as possible. Do you suffer from hearing loss? Stop in today. Musicians also constantly suffer from Tinnitus, which is an unwanted ringing noise in the ears. Audiologists will evaluate and prescribe medicine to manage the noise. Nobody should suffer from the effects of Tinnitus as it is very disturbing and disruptive to everyday life and sleeping patterns. The Hearing Doctor is proud to provide all types of hearing aid batteries and accessories. Visit us today if you need to purchase wholesale hearing aids at one low price. Our audiologists look forward to working with you and maintaining healthy, happy ears. Proudly serving Milton, FL, Crestview, FL, and Navarre, FL. The Hearing Doctor provides an assessment for infants through adults. We have rehabilitation for patients and families. All hearing aids prescribed and fitted with a full range of assistive products and latest technology. Free 45 day trial on new hearing aids! Call or stop in today for a hearing loss test.